Utility Tray is a polypropylene Tray which can be utilized for purpose ranging from drying glassware to sterilizing and to store any laboratory apparatus. 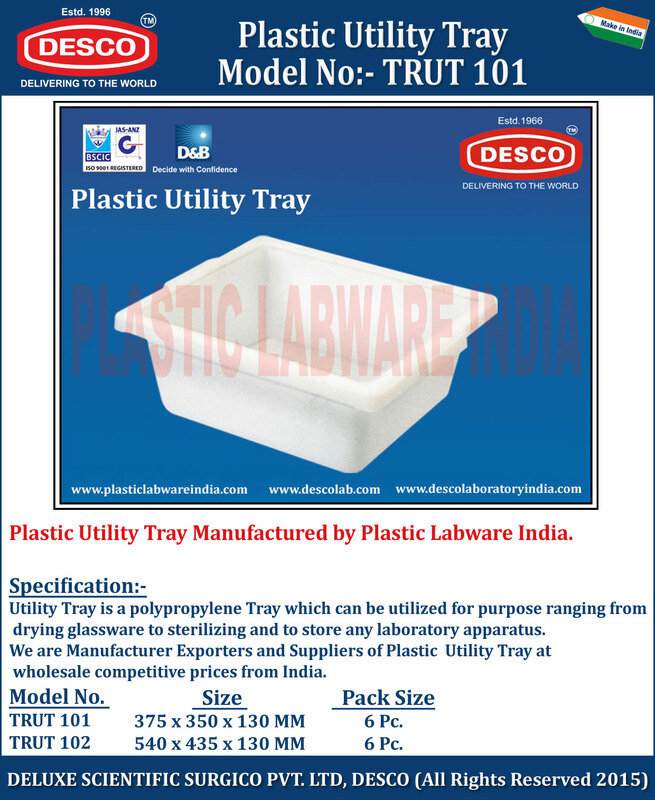 We are Manufacturer Exporters and Suppliers of Plastic Utility Tray at wholesale competitive prices from India. TRUT 101 375 x 350 x 130 MM 6 Pc. TRUT 102 540 x 435 x 130 MM 6 Pc.